Now we are able to piece together the history of the oldest temple discovered in Tamil Nadu which is located near Mahabalipuram. The original temple made of brick and dedicated to Muruga was built during the Sangam era (200 BCE to 300 CE). This temple was destroyed and the Pallava kings rebuilt it as a granite temple during 800 – 900 CE. This temple was destroyed as well. What is discovered now is remains of that temple. The Frontline article describes the discovery in detail and has numerous pictures. It also talks about the various scripts and languages found at the site. 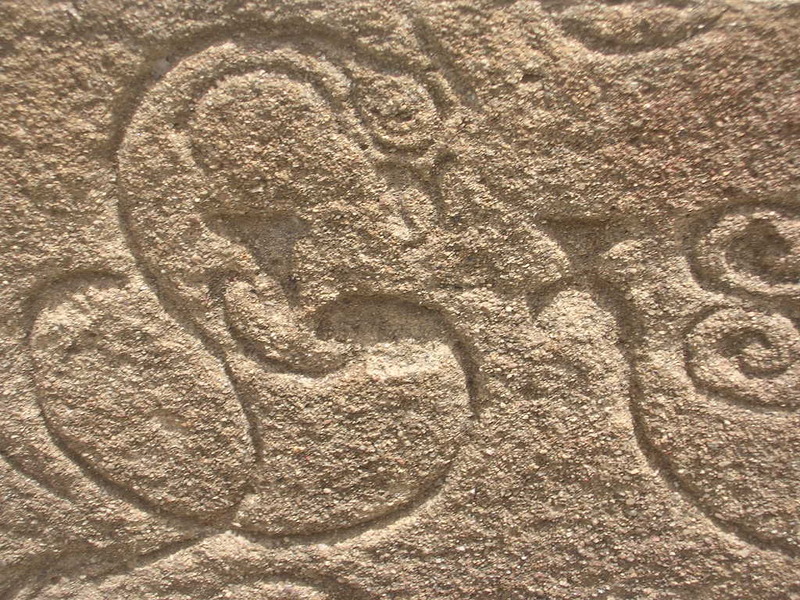 There are bilingual inscriptions in Pallava-Grantha and Nagari scripts in Sanskrit language on the walls of this temple. 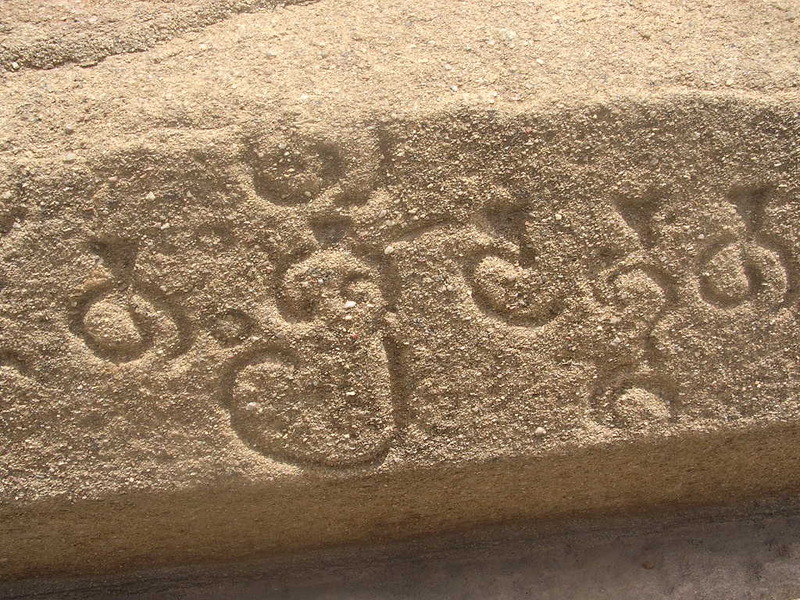 On the floor are found inscriptions in Tamil belonging to Raja Raja Chola, who built the Brihadeeswara temple in Thanjavur around 1,000 A.D.
ON the beach, about 300 metres to the north of the cave temple is a rock with three inscriptions on its sides. 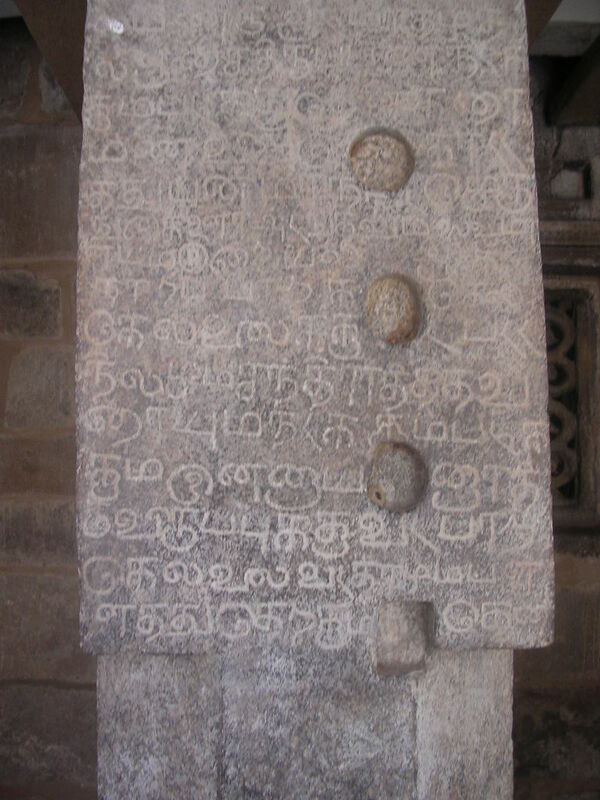 The inscriptions in Tamil on the western and southern sides belong to Parantaka Chola and Kulotunga Chola. The inscription on the eastern side was revealed after the tsunami washed away the sand around it. If Karunanidhi was alive in 800 CE, he would be walking with a bucket of cow dung, flinging it on the Sanskrit inscriptions. But he would find that it was already blackened by the enlightened folks running the Tamil Protection Movement. What I find difficult to believe is that the 7 temples on the shore were supposedly built from scratch by the pallavas. but the current story says the pallavas only rebuilt it. Some kind of info mismatch. Thanks for the whole report. Ravages, Atleast we know that one temple was re-built by the Pallavas. Don’t know if it holds true for the others. The front line pictures are good. I couldn’t believe my eyes – I actually saw “Paranthakan” on a stone tablet! Is anything being done to preserve it? Ravages, feel free to spam. Maybe you should make a post on your visit to the Kailsha nathar temple. If you want to guest post here, let me know.